MessyJesse - a quilt blog by Jessie Fincham: Sew and Quilt Launch! & Fabric Giveaway!! Sew and Quilt Launch! & Fabric Giveaway!! Hi friends! I wanted to let you all know my new online quilting fabric shop Sew and Quilt is now officially open!! It's been a long time in the making and it's been quite a roller-coaster to get this far, but I'm super proud of it and I hope you will all enjoy shopping here soon. Sew and Quilt is a fabric shop for all quilters and crafters who appreciate beautiful fabrics! I have a small selection to start, but I already have others on order including a large order of Pam Kitty Love collection!! I'm so excited for that to arrive! I hoping to build up my selection of 1930's reproduction prints, as I felt there wasn't a wide variety of these prints available online in the UK when I decided to set up Sew and Quilt. I also have the stunning Bloomsbury Gardens collection by Liberty in the pastel colour-way in stock, I'm dying to cut into these! They have the most gorgeous feel to them, so soft. I also have a great selection of Christmas prints in stock such as Cherry Christmas by Aneela Hoey, Dear Mr Claus collection by Moda, as well as some sweet scandinavian themed Christmas fabric I managed to source from the UK. So you will see lots of fun projects I'll be creating with these over the coming festive season. 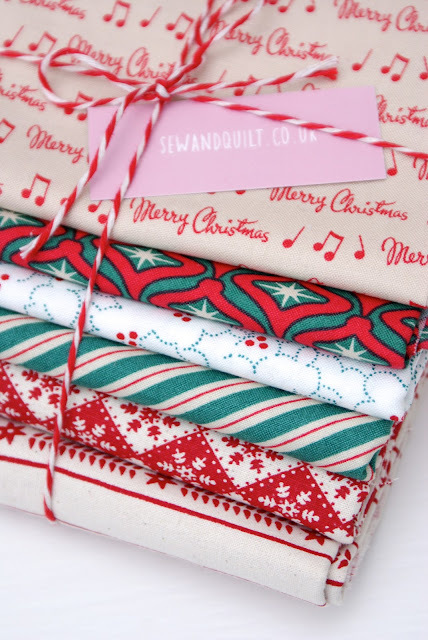 So I've decided to start the shop with a celebration by giving away this lovely stack of six Christmas printed fat quarters to one very lucky reader! 1. Visit Sew and Quilt, and comment on this blog post telling me what's your favourite fabric in the shop! 2. Become a follower of this blog and comment on this blog post to let me know. 3. 'LIKE' my Sew and Quilt Facebook page and comment on this blog post to let me know. 4. Tweet about my Sew and Quilt store and comment on this blog post to let me know. The competition is open until Monday 15th October, and the winner will be chosen on Tuesday 16th October at random. OK, now time for my Oscar winning thank you's! You ask for a comment to tell what is my favourite fabric in your shop!!!!??????!!! Liberty of course! Liberty Lifestyle Bloomsbury Gardens Dance in Turquoise in particular. Congrats on your new shop!! Thanks for the chance to win!! No doubt about it. The Christmas fabrics are the winners. You're right...whoever wins is a lucky reader. I love this bundle: I'm so glad you opened a store. You have the exact same taste in fabric as me. I already like you on FB. I read your blog in Google Reader. Tis the season. My favorite is Mr. Claus. Beautiful! I love the Aunt Grace Keepsake in Teal Scottie Dogs. So sweet. I like the 'Mama Said Sew' text fabrics! Just "liked" you on Facebook! And a sincere congratulations on your engagement! I love the Mama Said Sew Sewing Guide in black - such a great print! I am a follower of your blog through GFC. I like your Facebook page, too. I love "Mama Said Sew Black on Cream"!!! I love the LIBERTY LIFESTYLE BLOOMSBURY GARDENS DANCE IN TURQUOISE, gutted it is out of stock...however a cheeky order may have to happen soon. I have liked your fb page. I follow you in google reader. I do hope to see more 30's repro's. They are so hard to come buy in the Uk and love them to pieces. Good luck with the shop. I have just bookmarked it. I'm really happy to hear these news! I couldn't wait to see your web open since you announced it a coulpe of posts ago! I really love yourstyle and I agree that it's not easy to find 30s repro fabric in europe (I am from Barcelona). My favourite item from your shop is Aunt Grace Playful Panda, but I would really love to have the Mama Said So Apple as well! Thank you for the giveaway! I liked you on FB.thank you again! 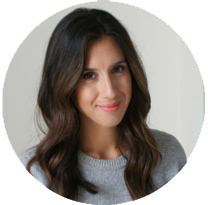 I've been following you through Bloglovin' for a couple of months I guess, I really love your style! I think my favourite is the Darlene Zimmerman Lake Ditsy Floral. Some lovely fabrics in the shop. Good luck with it all. I am already a follower through gfc. My Fav in the shop is the Darlene Zimmerman mothers melodies screamin yellow posy, perfect for so many different projects! Congrats on the shop.. It looks great. Love the liberty Bloomsbury gardens in turquoise. Great giveaway. Congratulations on your new shop and engagement. What an exciting time. I am now a follower. I love the 1930's repo's in the shop. I like the fresh look of your shop website. Congratulations on your new venture. You have a delightful range of fabrics and I love the Liberty patterns. Beautiful fabric shop! My favourite is the Bloomsbury Gardens Bell in green, but actually all your stock looks great! And I follow your Blog in google reader already! And I 'liked' your faceboo page too! Cherry Christmas Peppermint On Snow Holly is my fave. Congrats on the shop! Congratulations on the engagement - great news, how exciting! And the new shop! The shop looks great - my favourite fabric is LIBERTY LIFESTYLE BLOOMSBURY GARDENS DANCE IN TURQUOISE. I'd love a chance to win the Christmas prints - thanks! Thank you so much for a chance to win! Your site is cute and the fabrics are amazing! My favorite is the Mr. Claus by Moda! I'm kind of a sucker for anything Moda! Oh yes! I 'Liked' you on facebook, too! Best of luck with the shop! I love their Mama Said Sew text prints. Tks fr the chance! Congratulations on your new shop! It's lovely. I love all the fabric, but those Aunt Grace Keepsakes with little bunnies and scottie dogs are super sweet. Congratulations on your cute new shop and your engagement!! How exciting!! I adore the 1930's repro fabrics!! So cute! Yay! Congrats on your new venture, Jesse! :) I am a faithful follower. Just popped over and liked your FB page. Congratulations on your new online shop, Sew and Quilt. Also, congratulations on your engagement - wishing you both much hapiness. Lovely site - may it flourish! Well done for taking the plunge and doing what you love. I'm taken with the Darlene Zimmerman prints I think. ...and I've liked your FB page (via my page Made Time). I liked your page on fb and took a peek at your shop as well. You have done an amazing job of choosing fabrics so it was hard to find a favorite. I loved the Bloomsbury Garden collection and all of your Christmas fabrics. I am a long time follower, but realized this morning that it was not "official". :o) So made it so. My favorite fabric is your scandi Christmas diamonds on red. Thank you for such a sweet giveaway. Yay1 your open for business! I love the liberty fabrics and i follow your blog. Congratulations on your engagement.Rome how wonderful! I love Cherry Christmas! It's so cute! And congratulations on your engagement too, that is such lovely news. (I am a follower of your sweet blog and would love to enter the giveaway please). Congratulations on the opening of your shop and on your engagement! The shop looks fabulous - I especially love the skandi and the mama said sew fabrics. Such a great choice and good prices too, I love Leonard in green by Liberty. Thanks for the giveaway. I follow you on facebook too. A new shop AND getting engaged, you must be over the moon right now :) Huge congtrats to you both...! Your shop is gorgeous, I will definitely be shopping there soon. Your Retro Vintage fabric bundles are fab but I really fell in love with Darlene Zimmerman Mother’s Melodies Screamin’ Posy in yellow... I'm a big fan of yellow at the momnet! Thanks for the fab giveaway!!! Congratulations! Such exciting things going on at the moment for you! Loved your shop, of course. The pink pandas were my fav, sold out though - shame! :-( still plenty of other good things to enjoy! I love the retro vintage purple, I can never go past purple! I just adore retro, right up my alley! Ooh I hope this is open everywhere. I really NEED some Mama Said Sew, black on cream sewing guide...why haven't I seen it here in the states yet? I like sew & quilt on Facebook, thank you so much for the giveaway! Well, I already "like" your FB page, that's how I knew about this contest!! I really like the Red on Eggnog Merry Christmas fabric. I could see me doing SOOO many things with it! I am now a follower on your blog! Yay a new UK fabric shop! My favourite is Leonard in green from the Liberty Lifestyle collection. Following the blog using Bloglovin. I like the Darlene Zimmerman fabrics, not seen them before. I've also liked your facebook page - congratulations on your engagement and good luck with your new shop, I look forward to seeing what fabrics you stock - I love all the 1930s fabrics you've featured in projects in your blog. I hope I am still on time, love your liberty london selection of fabrics! I'm very fond of the "cherry christmas" prints! I'm following you with google! The SCANDI CHRISTMAS STRIPE RED is gorgeous! I'm seeing christmas dresses made from this for my daughter... so cute. Thanks for sharing. I follow you with google. Thank you so much for your thoughtful comments. © 2009 - 2019 Jessie Fincham, Messy Jesse | All Rights Reserved. Powered by Blogger.